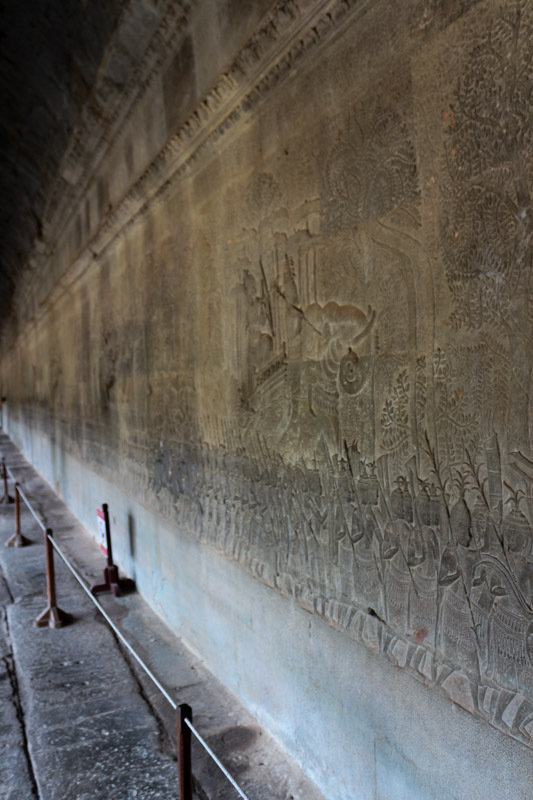 Each relief monumental section is about 100 meters long. There are two reliefs on each side of the temple, located in a roofed corridor on the outer walls of the main complex. So in total about 800 meters of detailed stories shown.